Arthur Denny, founder of Seattle, proposed woman suffrage in the first legislative meeting in Olympia in 1854. He lost on an eight to nine vote. The Washington Territory Woman Suffrage Association was formed in 1871 in Olympia. The territorial legislature gave women the vote in 1883. Women lost their vote in 1887 when the Territorial Supreme Court ruled that Congress did not intend to give territories the power to enfranchise women. In 1895 the first convention of Washington State's Equal Suffrage Association was held. Washington Territory was known for its suffragists. With differing styles, the persistent Emma Smith DeVoe and the direct and indomitable May Arkwright Hutton worked for the common cause of women's suffrage in Washington State. By 1907, the Washington Equal Suffrage Association had several thousand members, and in November of 1910 the amendment to the state constitution allowing women to vote carried by nearly two to one. This made Washington the fifth state to give women the right to vote - nine years before the 19th Amendment to the US. Constitution extended the vote to all the nation's women. The League of Women Voters of the United States was first projected at the Jubilee Convention of the National American Women Suffrage Association in 1919. 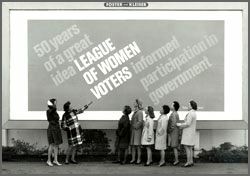 The League of Women Voters of Washington was organized the next year. Seattle and Tacoma were the first two local Leagues in the state. In the early days the League of Women Voters of Washington supported state legislation pertaining to protection of children in fields of labor, health and education. At the present time there are twenty-one local Leagues around the state. The League of Women Voters was organized in 1919 after suffrage for women was passed by Congress and ratified by the states. Since that time the League has kept pace with changing times. The League has worked hard to improve the legal status of women and the welfare of children and to improve legislation protecting the consumer. The League championed the reorganization of Congress, and has led the struggle to fight air and water pollution. The League is concerned about equal opportunities for all citizens in education, employment and housing. 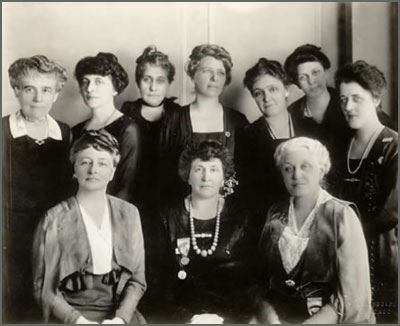 The League of Women Voters of Washington was organized in 1920. Over the years the LWVWA has given sustained attention to issues dealing with the judicial system, election laws, government, state finances, children's services and the environment. Local Leagues have spearheaded improvements in the structure and efficiency of town and city governments, have worked on such issues as public schools, housing, health services, sanitation, tax reforms, city charters and local planning. Adapted from information on the LWVUS website and from LWVWA. The official birthday of the League of Women Voters is February 14, 1920. 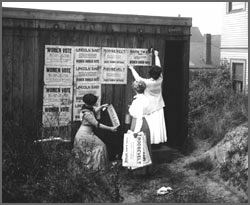 LWV is an outgrowth of the suffragist movement. Carrie Chapman Catt founded the organization in 1920 during the convention of the National American Woman Suffrage Association. This Victory Convention was held only six months before the 19th amendment to the U.S. Constitution was ratified, giving women the right to vote after a 57-year struggle. The League of Women Voters of Washington was organized the same year. Seattle and Tacoma were the first two local Leagues in the state. 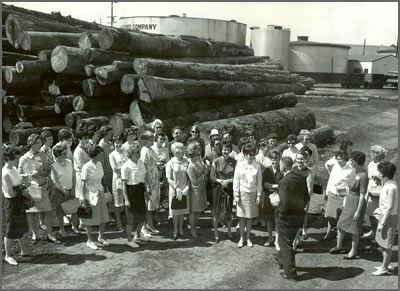 Click here to view the online photo collection on the National League of Women Voters' website. When Catt, a feminist who had been a dynamic leader in the suffragist movement, first wrote of how she envisioned the League in April 1919, she characterized it as "a union of all intelligent forces within the state" to attack "illiteracy, social evils, industrial ills." She added, "The politicians used to ask us why we wanted the vote. They seemed to think that we want to do something particular with it, something we were not telling about. They did not understand that women wanted to help make the general welfare." Helping to "make the general welfare" was the primary agenda of the new League. During its first conventions, delegates voted 69 separate items as a statement of principle and recommendations for legislation. Most of the items were what we might call "family issues" today. They were important to the League, because leaders saw their enactment into law, along with enfranchisement, as critical to the independence of women. Among them were support for collective bargaining, child labor laws, minimum wage, a joint federal-state employment service, compulsory education, and equal opportunity for women in government industry. Many of these items were enacted into laws that are still in force today. They have been part of American life for so many years most of us take them for granted. But more than 81 years ago, the League's struggle for legislation to improve the quality of life for Americans was a long and arduous one. We as current League members strive on that same long and arduous struggle to build better communities. We are carrying the legacy of the courageous suffragists and past League members who have accomplished so much for our democracy. LetÕs celebrate the people in the past who made us what we are today, the people in the present who give so much to our goals, and the people of the future who will continue in this struggle.